So now you have heard of Bryan Loo’s story. What about La Kaffa’s? Since nothing was heard from them, we decided to do some investigative journalism works and voila! 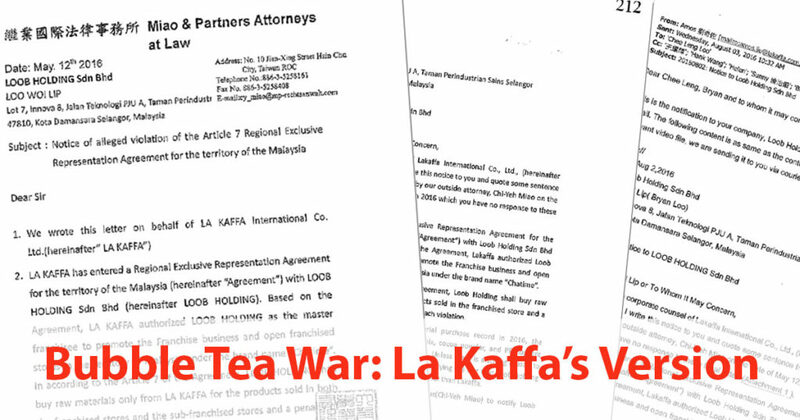 We discovered an injunction was filed by La Kaffa in the Malaysian courts this week. 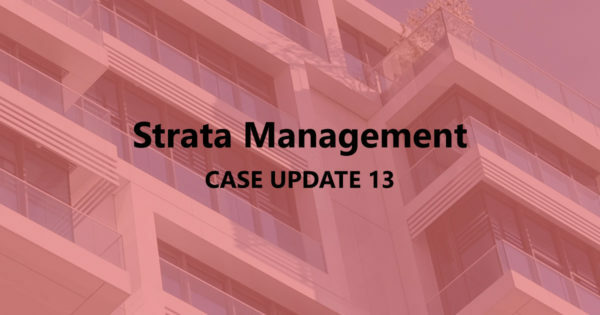 We also subsequently discovered that there was an earlier dispute which resulted in an arbitration filed in the Singapore International Arbitration Centre by La Kaffa. No this is no conspiracy theory and let us not digress. Coming back to the bubble tea war. We were made to understand that the Judge has directed Loob Holding to file an affidavit in reply to the allegations made against them but the High Court Judge did not allow a temporary injunction whilst parties exchange affidavits. As of today, an affidavit in reply has yet to be filed. But in the interest of time we thought however the F&B community now must be anxious of what was the story behind so we combed through the documents filed in court in particular the affidavit and we found explosive allegations which include documentary and video evidences of alleged breaches. 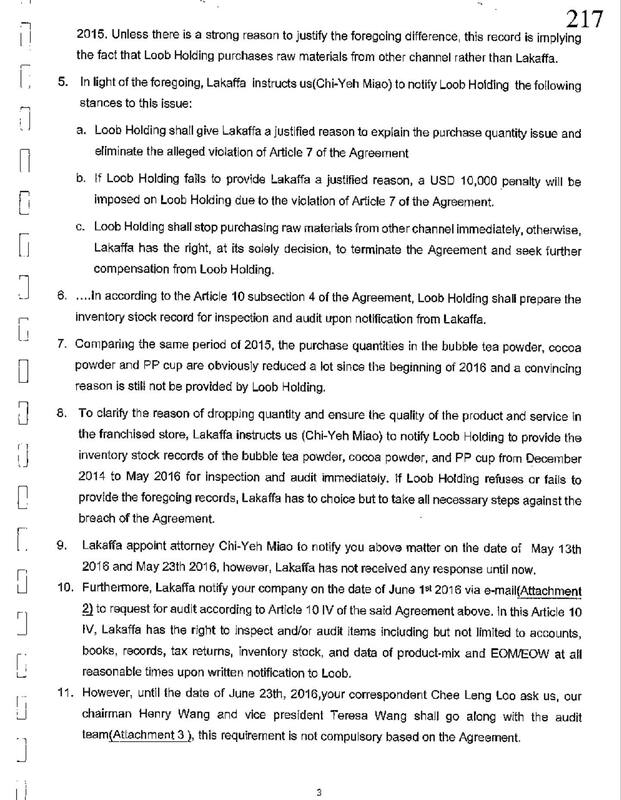 In fact, the affidavit also goes to show that La Kaffa was accumulating evidence discreetly to an extent capturing extracts of the interview Bryan Loo gave to BFM recently. 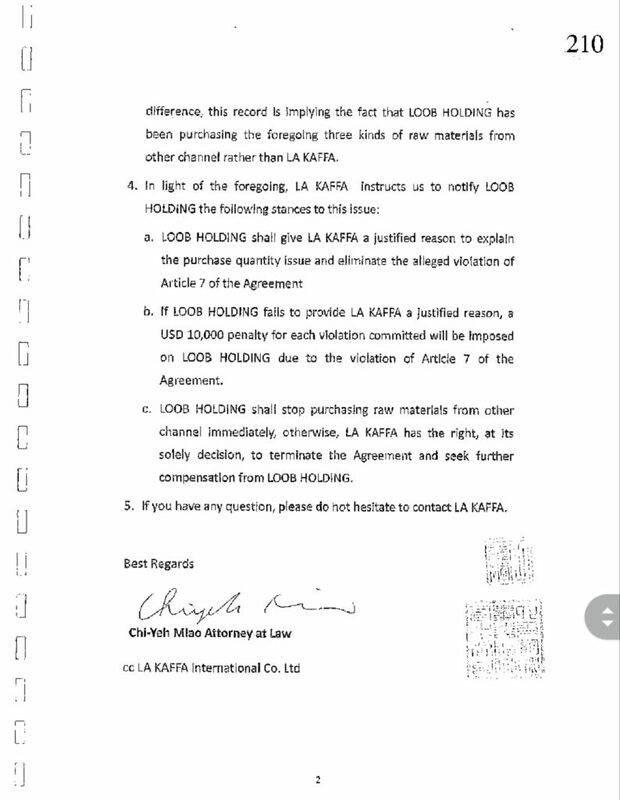 restrain Loob Holding and all his konco-konco as mentioned above to disclose and/or use confidential information of La Kaffa, including the operating mode, franchised concept, technologies, formulations, ingridients, programs and designs. This is in light of the new found brand “Tealive” introduced by Loob. 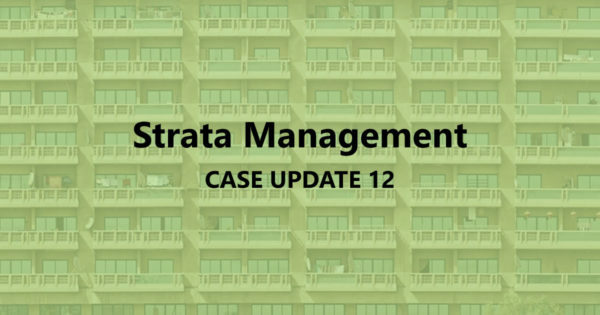 So what were the grounds La Kaffa relied on and what are the actual allegations all about? 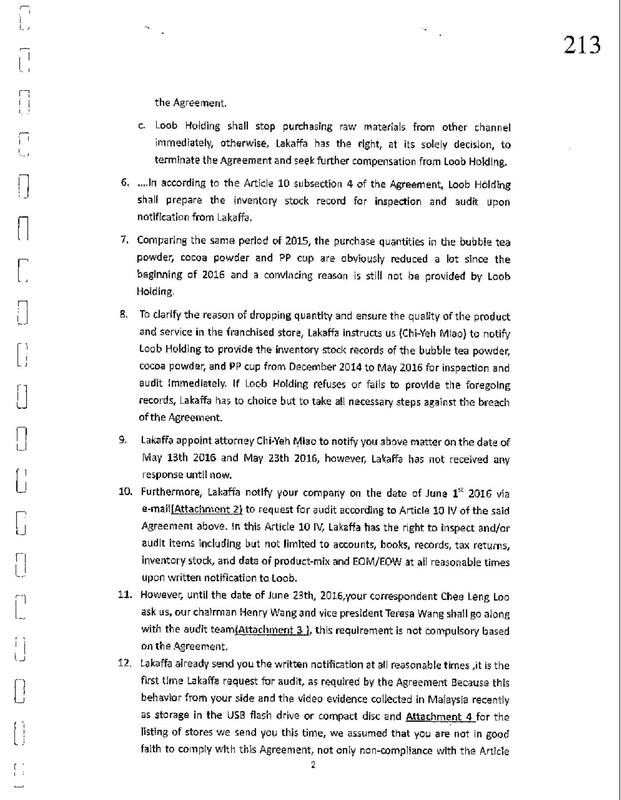 According to the affidavit, it all started around January 2016 where LA Kaffa suspected something amiss when the order to the raw materials dropped despite an increase of revenue. 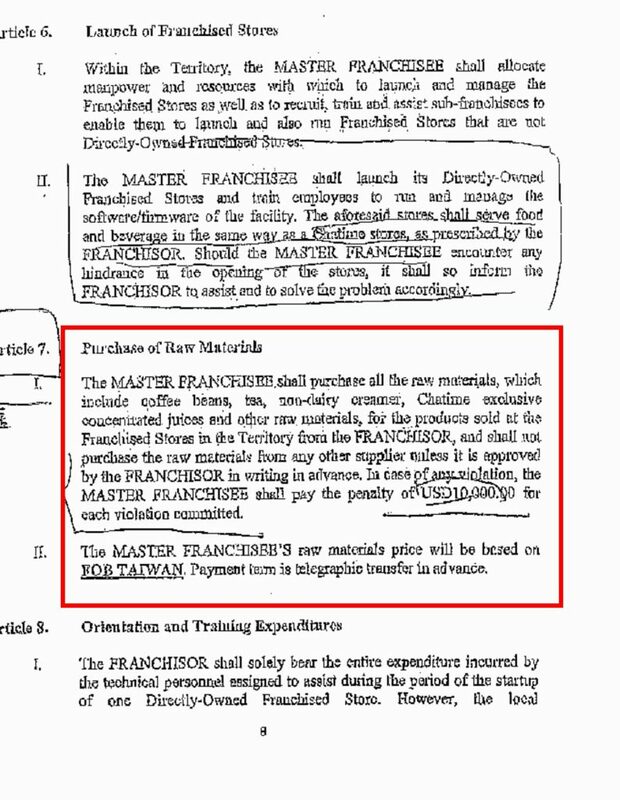 The allegations were specific referring to milk tea powder, cocoa powder and polypropylene (PP) cups. 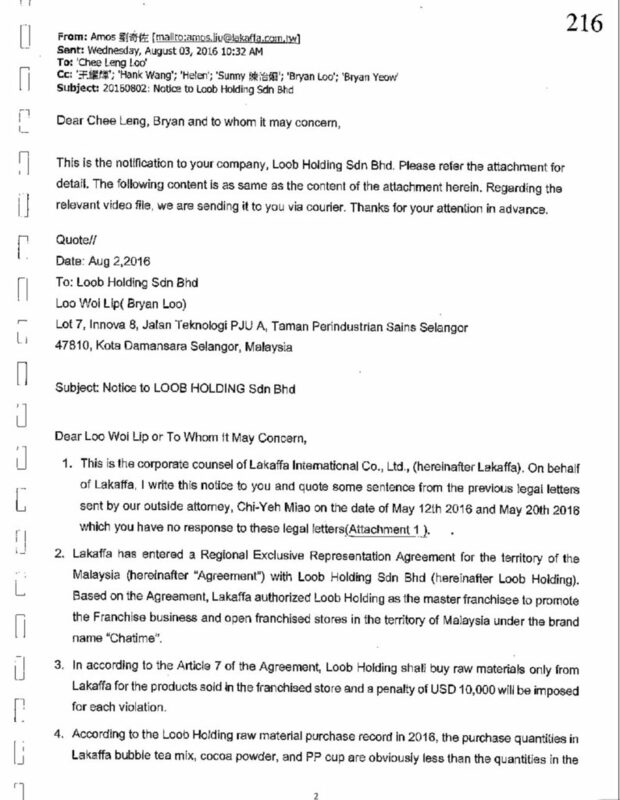 When there was no plausible explanation given by Loob, LA Kaffa decided to initiate its own investigation. They sent undercover representatives to various outlets in Malaysia and took evidence. 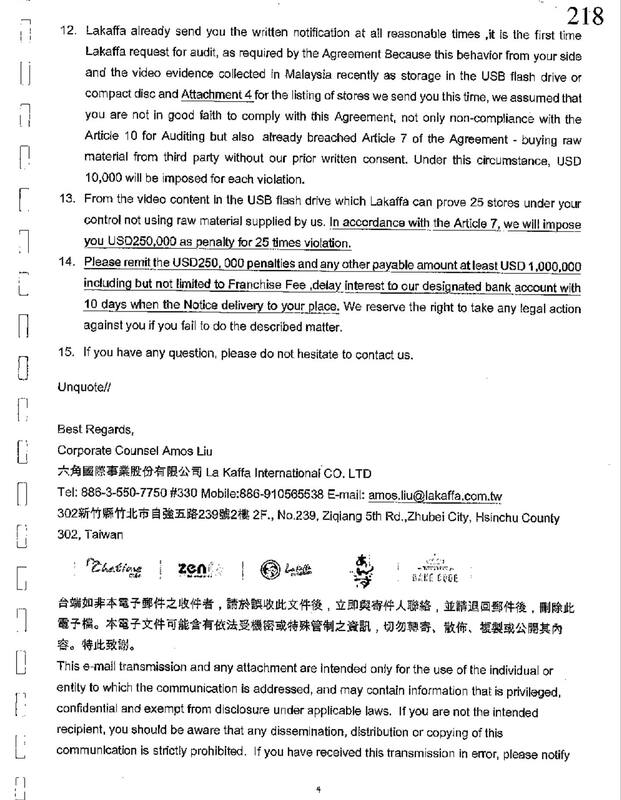 In the course of doing that, they have video evidence showing the outlets were using an alleged CHATIME beverage cup which they labelled it as “fake CHATIME cup”. 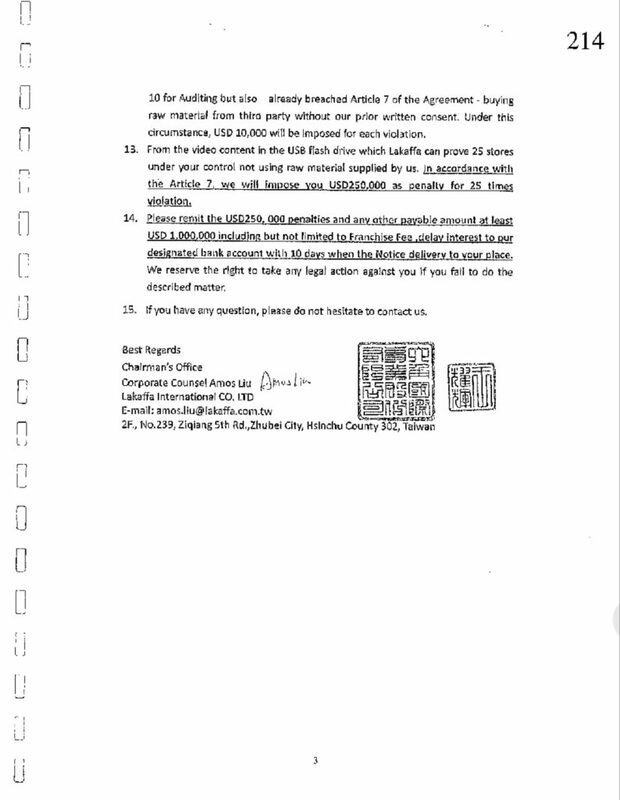 The affidavit states that the authentic CHATIME cups should contain either “YM-500” or “YM-700” markings on the base of the cups and these markings are material confirming authenticity sourced through SCPP Ind Co Ltd. However this was similarly delayed and rejected. Under the RERA, Loob was obliged to make full payment of the purchase of raw materials. 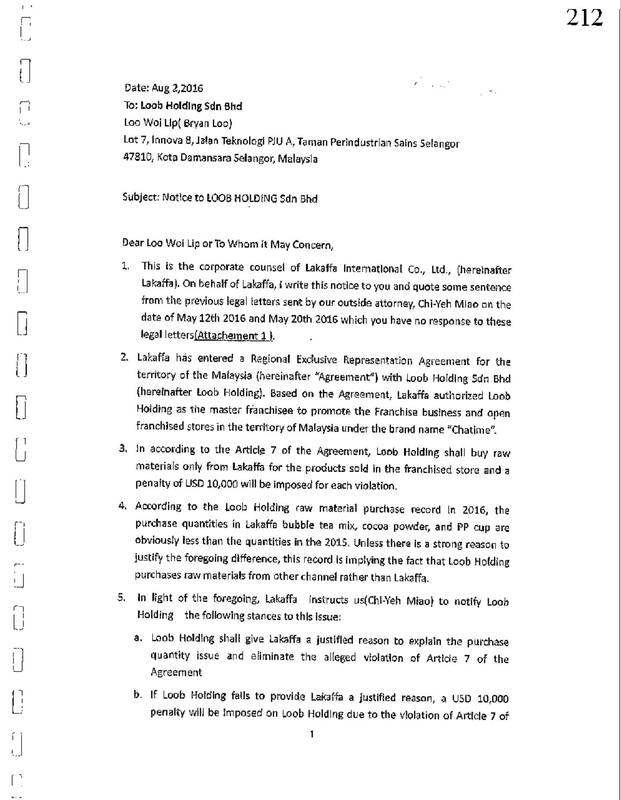 From the papers we sighted, the outstanding sum was USD713,273.72 which was also the subject matter of the arbitration filed by La Kaffa in the Singapore International Arbitration Centre. The outstanding amount claimed was then reduced to USD644,536.32. 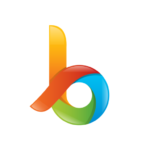 La Kaffa is also concerned with the use of its proprietary information being used by Loob to carry on its new business especially Bryan has openly announced that all 165 outlets will be converted to Tealive which is essentially running a similar business. A person who fails to comply with subsection (1) or (2) commits an offence. 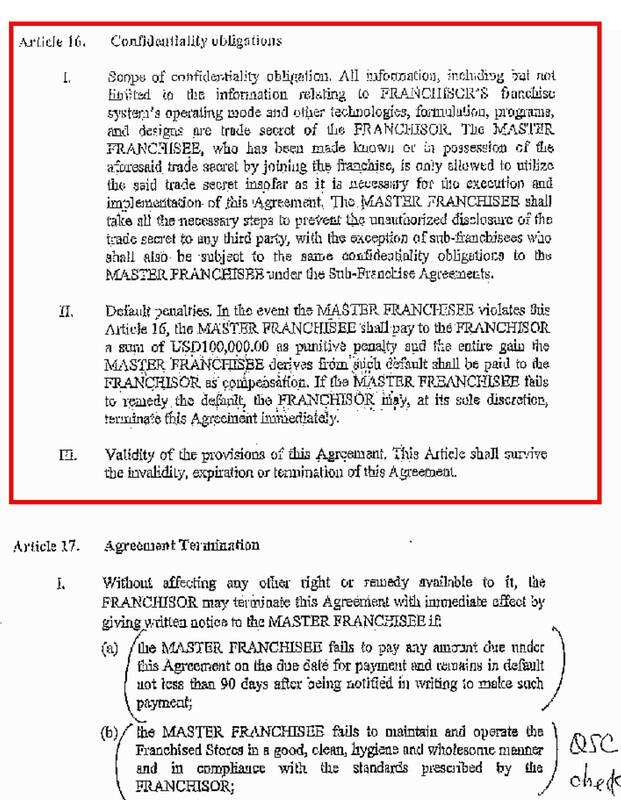 It is also interesting that Article 15 of the RERA has similar provision and we have extracted it below for your convenience. La Kaffa also alleged that it has provided various manuals and operation training manual of which these proprietary information is unique which La Kaffa has expended a vast amount of money and effort in developing it. Now that since RERA is terminated, Loob should not be using the confidential and proprietary information procured from La Kaffa. 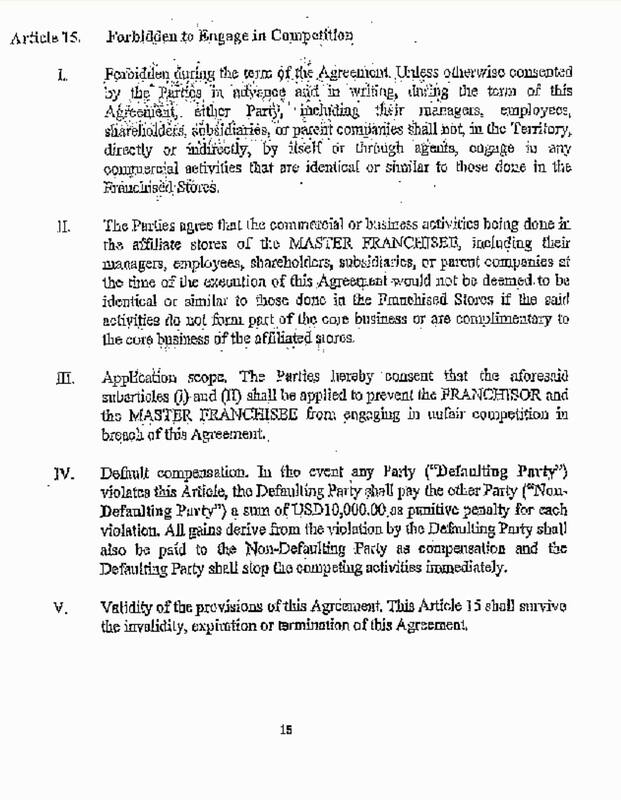 This was corroborated by the fact that Bryan has in interview claimed that “the same team, the same people, both employees and partners, in place at the same outlets,….” Which La Kaffa finds it commercially improbable. 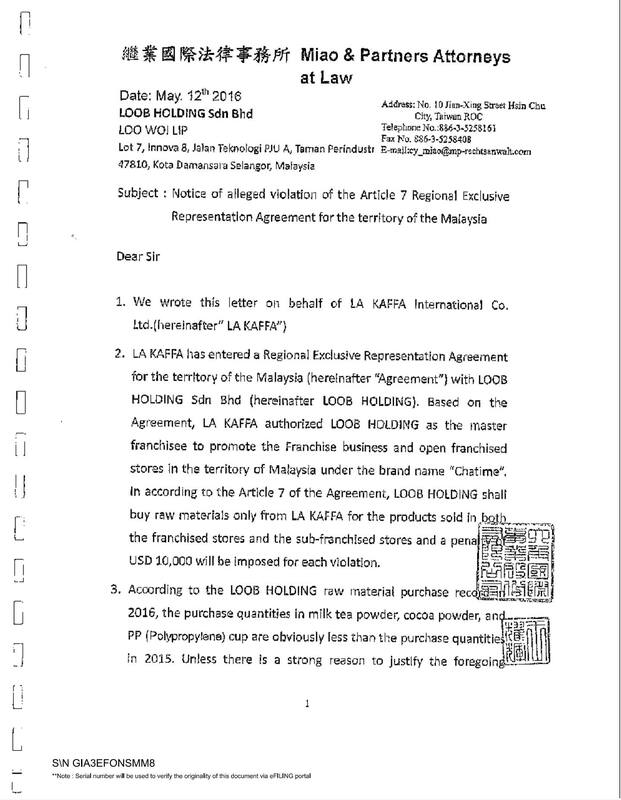 Due to the breaches above, La Kaffa issued a notice of termination dated 5.1.2017. All these allegations from La Kaffa surfaced for the first time in public domain and we are equally eager to see what Loob’s reply is. We will keep you posted. Since the injunction mainly tries to restrain Loob from carrying out business under the non competition clause, we wanted to have a better idea what is it about and whether it is legally allowed. 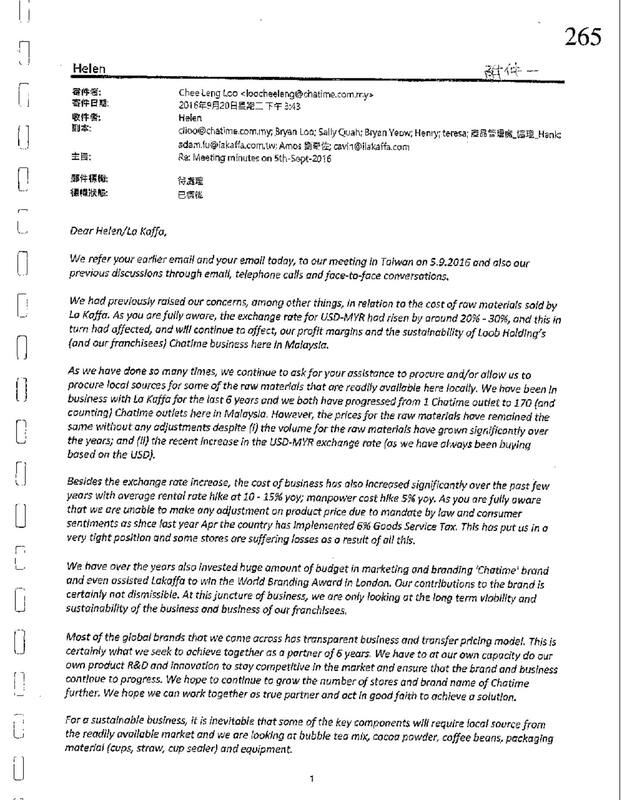 We then contacted Lai Chee Hoe, who advises Rhombus Group and many other F&B brands and asked about his opinion. 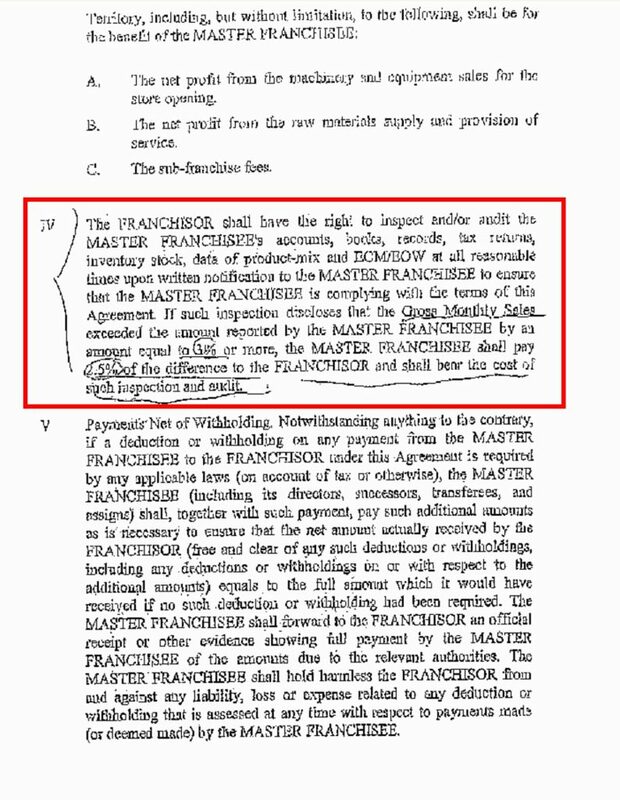 He replied that it is a precautionary step to avoid a licensee or franchisee from adopting the proprietary information obtained through the licensor / franchisor and make use of those information to carry out business not permissible under the Agreement. 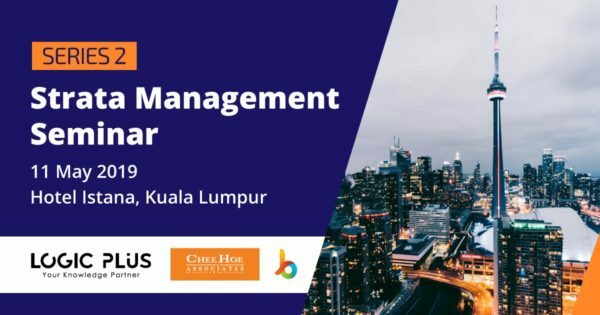 There is an increasing trend of such disputes in light of the bad turnover suffered by a lot of F&B brands. This has led to many licensees and/or franchisees considering to terminate its existing agreement to convert it to a similar business brand. In fact, he has 5 active disputes in hand. As to what consists of “similar business” would really be a question of fact which includes, colour scheme, ingredients, sauces, food type, logo, food labelling and packaging.